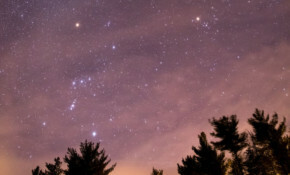 Take part in the CPRE star count and head to the Isle of Wight Observatory later this week to learn more about star gazing. 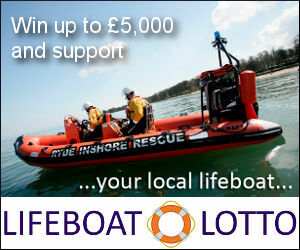 The Operations Manager of Sandown and Shanklin Independent Lifeboat said the continued support for their work is "very humbling". Well done to the choirs and all who donated. There'll be a retiring collection at the free concert, aimed at raising funds needed to repair, upgrade and then maintain the Brading Youth and Community Centre. The scheme has been designed to minimise disruption to residents and those at the school. 'Don't Frack the Commonweal' is a nationwide community artwork project in progress is coming to the Isle of Wight later this week - learn how you can take part. The restriction has been imposed by Island Roads in conjunction with the Isle of Wight Council ahead of works to strengthen the listed structure, which are due to begin in September. This was the first concert of the choir's 50th anniversary year, and a first at the Sanctuary. The Garlic festival is food and entertainment at its very best with a vast array of eats, treats, sights and sounds to suit all tastes and ages. There really is something for everyone at the Garlic Festival. There are lots of new rides on offer with the return of Carnival Funfairs to the Isle of Wight. They'll be touring the Isle of Wight over six weeks, starting this weekend. Don't miss the crazy prices offers. Don Emery has served the Newchurch Male Voice Choir for 28 years and was last weekend presented with the President’s Silver Medallion in recognition of his service. Newchurch Male Voice Choir have chosen to support the Martin Poynter Trust in 2016 and helps raise money and awareness for the charity.